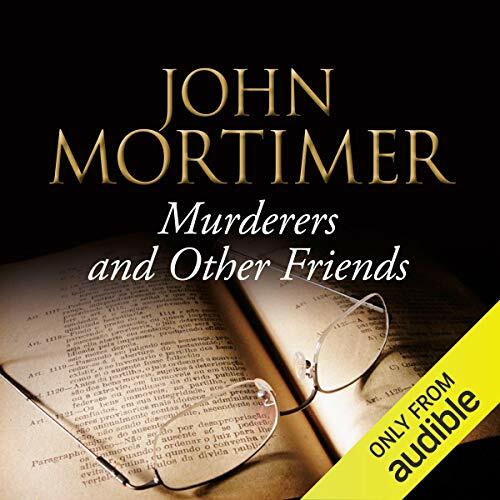 ©1994 Advanpress Ltd (P)2014 Audible, Inc.
One has to congratulate Bill Wallis on his reading of this work by John Mortimer. The perfect adaptation of a voice to the text: somewhat world-weary, amusingly observant, ever optimistic and unfailingly appreciative. It makes one feel how pleasant it would be to sit down with this man and listen to him reminisce. Having come across the book, by chance, a decade ago, and having read it three times, I still find renewed delight in listening to this audible book by Bill Wallis. I adore John Mortimer, so much so, I have ordered all of his made for television plays after being reminded of them and hearing the background stories that created the backdrop to them in this book. Parts were fascinating... his friendship with Niven and Clark Gable, the making of Voyage around my Father, parts less so and would have benefited from sharper editing. There doesn't seem to be any order to the stories he tells. The book tends to jump from subject to subject without any clear connection of subject matters which leaves the book rambling in parts. The narrator does an excellent job in parts but also falls flat in places and I found my concentration waning. Not his best, but there is enough to make it a good read but not a favourite. This autobiography brings back happy memories of hearing John Mortimer on the radio, and revealed further anecdotes about his life. It was lightweight but enjoyable, and Bill Wallis is one of my favourite narrators.